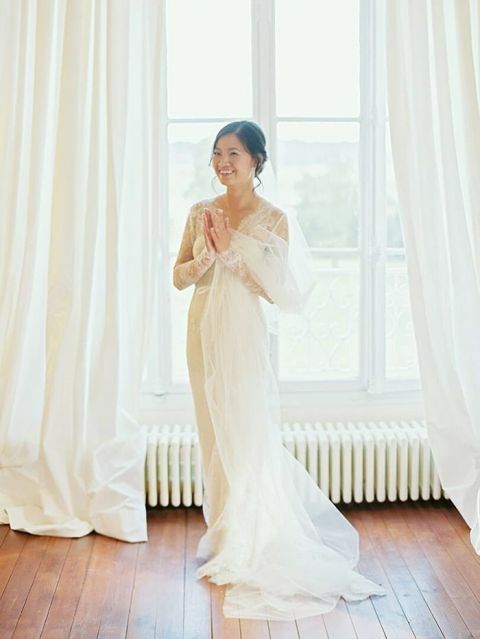 Ven and Adrian’s glamorous chateau destination wedding has all the hallmarks of a timeless classic – a breathtaking venue in the French countryside, romantic garden florals, and a couture wedding dress made just for the bride! The couple chose to hold their wedding in the heart of the French countryside at Chateau de Bouelles so their friends and family from around to globe could celebrate in beautiful style – and with exceptional food. 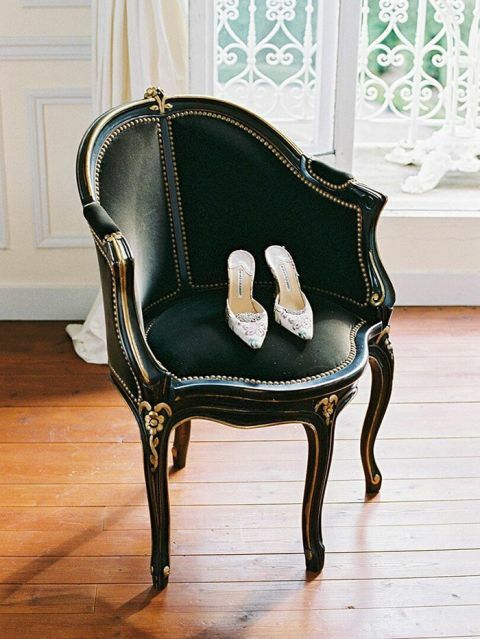 Fete in France was instrumental in planning their wedding from afar, with every beautiful detail captured by destination photographers extraordinaire, 2 Brides Photography. 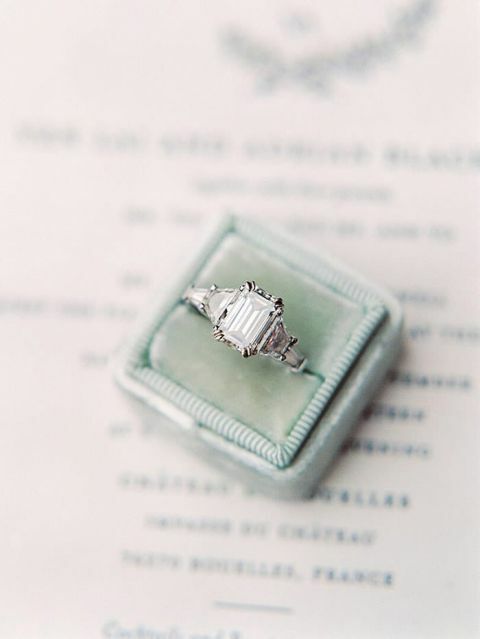 While they relied on their destination planner to pull together many of the pieces for their big day, Ven and Adrian incorporated many personal touches to make their wedding feel uniquely theirs. 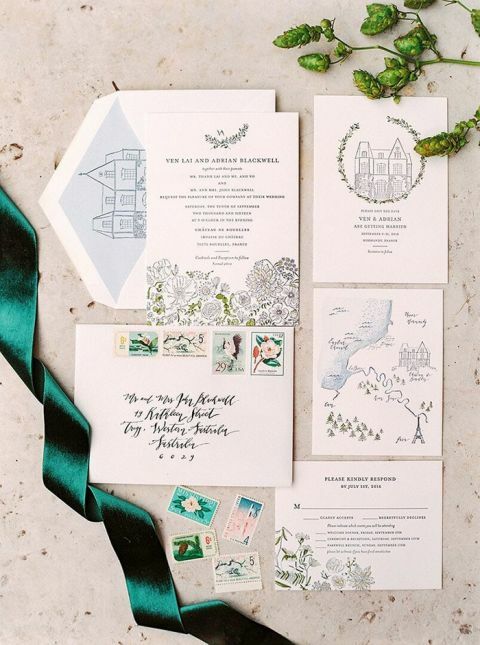 The bride designed and created their gorgeous stationery suite of letter pressed invitations, including an illustration of the beautiful chateau venue. The whimsical elegance of the stationery suite inspired the tone of their wedding, with the formal grounds of the chateau adding a classical touch. When it came to finding the perfect dress, the bride had yet to find a gown that felt like The One, and was overwhelmed when her mother offered to make it just for her. The result was a sophisticated lace dress with long sleeves and an elegant open back that was not only stunning, but incredibly personal. Every guest who made the journey to France was equally important, and Ven and Adrian asked them all to participate in their heartfelt ceremony by adding a long stemmed rose to a vase they had filled with water together, creating a bouquet that represented those they loved the most. Guests enjoyed the formal gardens of the chateau for cocktails once the vows had been exchanged, before adjourning to the timeless halls for the reception. French touches were everywhere, from the vintage candlesticks and floral patterned china, to the local flowers Lily Paloma fashioned into garlands to drape their reception tables.